Hey friends! It’s about time for some more clip art, isn’t it? 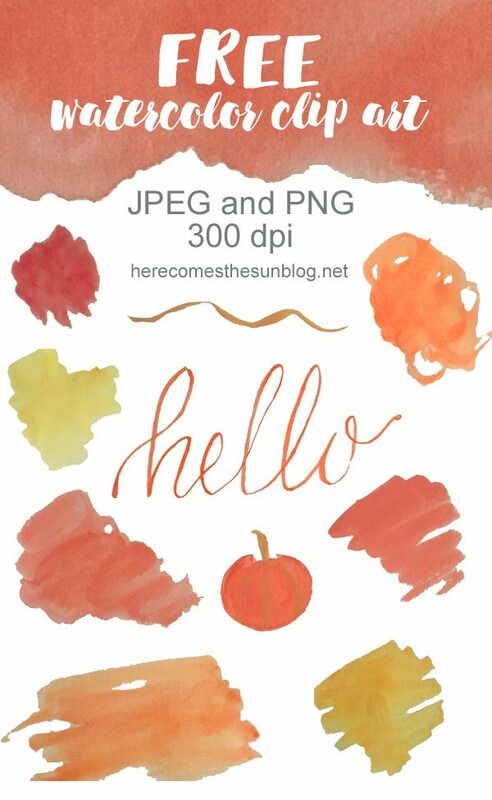 It’s Fall so I wanted to create some Fall watercolor clip art in gorgeous reds, yellows and oranges. I have to say that I am really loving painting with watercolors. It’s so relaxing and something that the kids and I can do together. 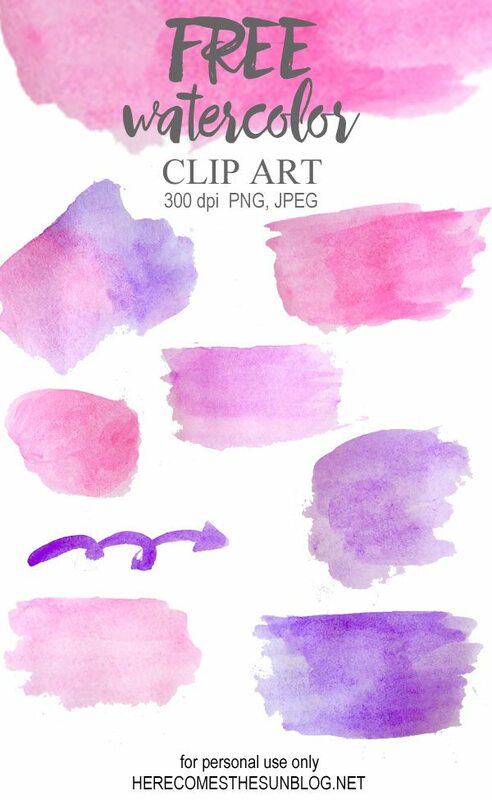 This clip art is great to use on notecards or invitations. 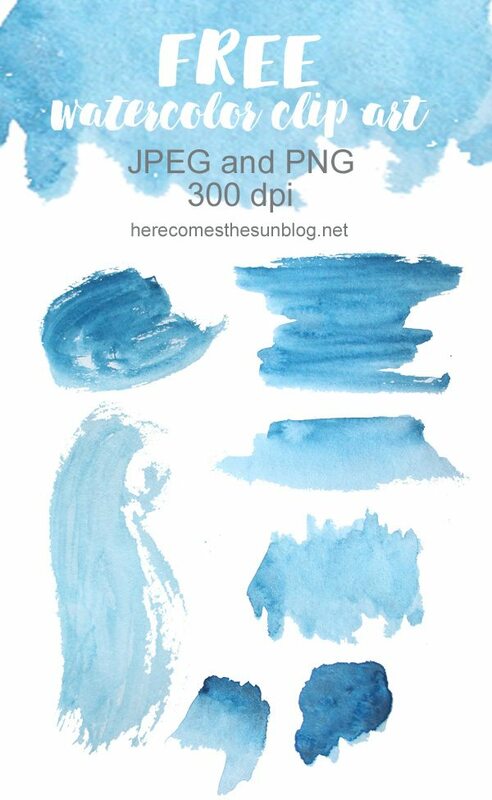 The files were created in 300 dpi and contain 10 elements. I’ve created one JPEG and one PNG (transparent background). You can access the files in the resource library, below.